We get the fact that everyone is unique and focus on developing good rapport with clients, based on empathy, confidentiality, discretion and objectivity. We also enable other coaches to do the same with our coaching support tools. Dr Phil Bardzil is an experienced executive and career coach working at senior levels in large organizations, as well as supporting individuals in all roles with their ongoing career development. 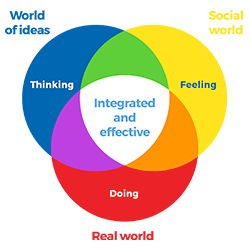 Much of his work draws on the proven Psychologica Model of Integrated Development which helps to: clarify personal vision and strategy; enhance emotional self-awareness and interpersonal relationships; and bring about positive behavioural change. Find out more about our career coaching and executive coaching services and our programmes and prices.